Washoe County, which includes the cities of Reno and Sparks, is one of the fastest aging communities in the nation. 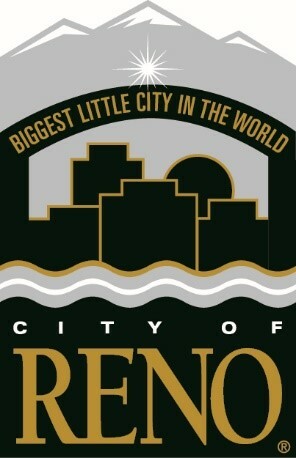 The Reno City Council strongly supports the senior community and the efforts of the Senior Citizen Advisory Committee. The City of Reno’s Senior Services Division, within its Department of Parks, Recreation and Community Services, provides a monthly menu of music, arts, lifelong learning, trips and outings, social activities, fitness classes, and community resources to several thousand people aged 50+ in our area. They also produce the very successful Senior Summer and Winter Games with sports and games where folks aged 50+ compete for gold, silver and bronze medals in their age brackets. Please see www.reno.gov/seniors for more information. Washoe County Human Services Agency helps those 60+ and/or who are at risk of institutionalization to maintain their independence by providing home and community-based services. In 2017, they worked with almost 2300 seniors needing support, resources and referrals for services and case management. For more information, please see www.washoecounty.us/seniorsrv. Our Reno and Washoe County senior boards meet together every quarter to work on joint activities for seniors in the community. We host a month-long county-wide Older Americans Month in May every year with over 100 activities and events to do outreach, provide service information and introduce seniors and their family members to fun, healthy and helpful programs and service providers for older adults. For the past several years, the highest needs voiced by our senior community (and detailed in the 2016-18 Reno advisory committee’s strategic plan) have been: 1. Improved transportation options, 2. Easier access to information about available services, and 3. Expanding resources for the growing senior population. This year, we worked with Truckee Meadows Regional Planning Agency to develop an online survey at www.tmrpa.org/seniorsurvey to ask residents their opinions about how to make our community more age-friendly. Surveys will be collected through the summer, but early results show that seniors are ranking Transportation, Housing, and Community Health & Services as their most important domains of livability. Additionally in Fall 2018, the Reno Sustainability Manager will task a UNR undergrad researcher to evaluate how Reno can improve conditions for successful aging in the community and provide written assessments and recommendations for our Initiative and to improve Reno’s ranking as a certified 3-STAR Community and to meet goals in the Reimagine Reno Master Plan.